It's time again for a new Pattern of the Month! 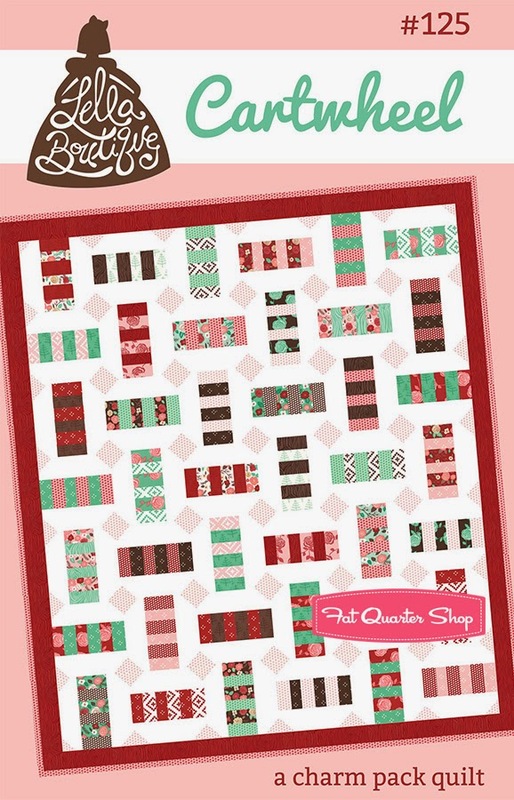 This month we selected Cartwheel Quilt Pattern (also available in PDF!) by Lella Boutique as our May 2014 Pattern of the Month. Lella Boutique's fabulous designer, Vanessa Goertzen, is here to tell you a little more about the May Pattern of the Month, and don't forget, it is 20% off all month! Vanessa was so excited to find out she had been selected for May's Pattern of the Month and shortly after sent some adorable photos featuring this pattern. 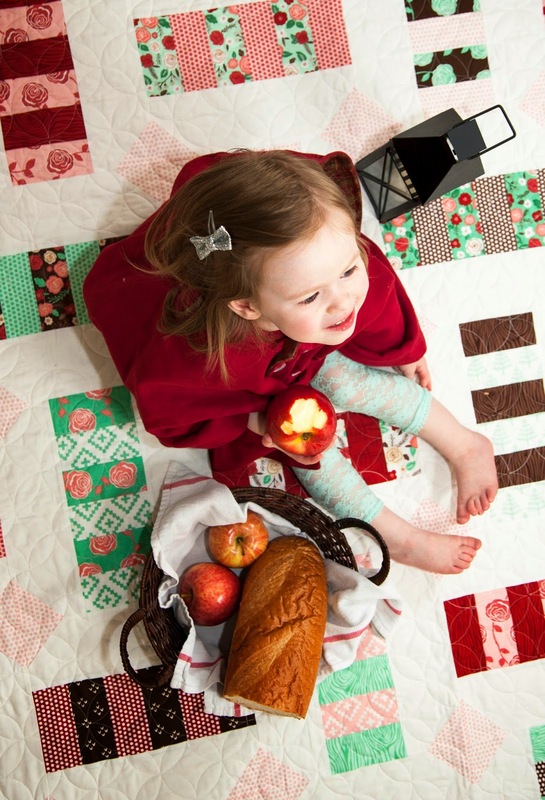 Adorable photos featuring an adorable Little Red Riding Hood, don't you think? I find myself drawing upon my childhood quite often as a source of inspiration -- and this Cartwheel quilt pattern was certainly no exception. An actual cartwheel is such a sweet and playful action that I knew it would be a fun concept to work with. I started out by creating tall and skinny blocks with these happy charm squares, then created the motion simply by alternating the orientation of each. 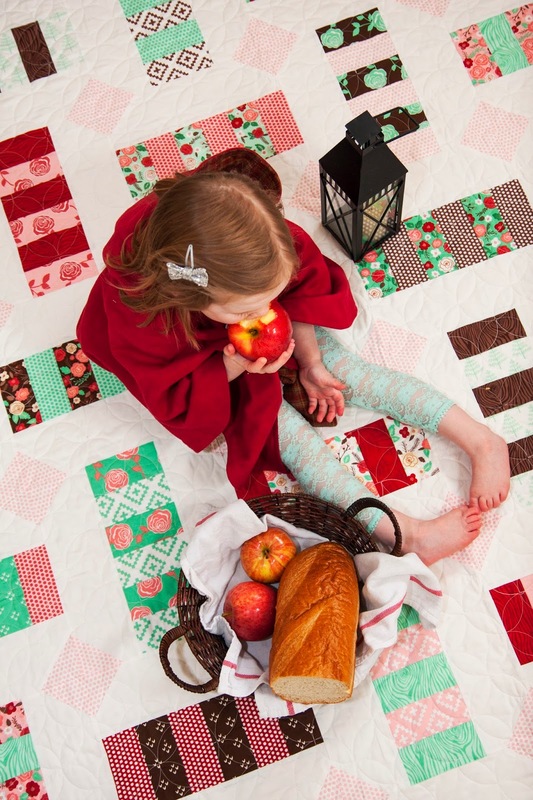 It's an easy quilt to put together and is perfect for a picnic. Want any tips? As you can see, I finally settled on using my Sweet Dots in Cloud Pink for each block corner accent. 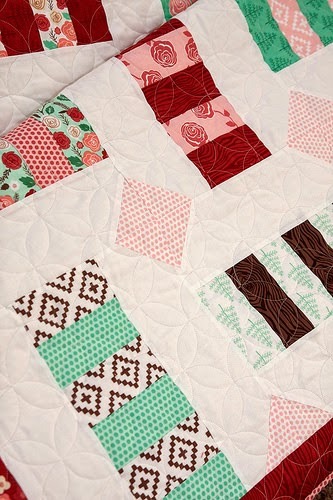 This gives the quilt a very soft and subtle look. For a more bold look, use some of the Cranberry or Dark Bark colors! 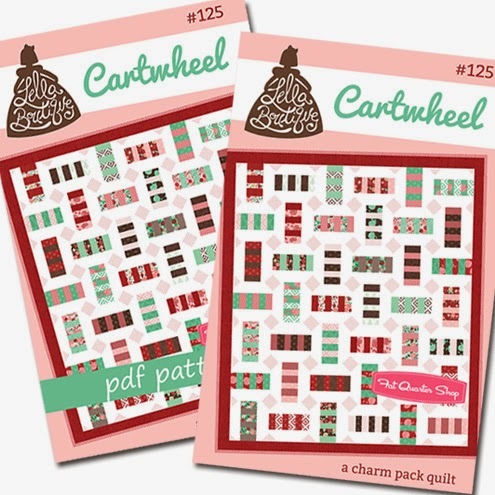 Be sure to pick up the Cartwheel Quilt Pattern, in paper or PDF, at 20% off!